The CSU Regional Archives has been collecting archival material from the Riverina and Murray regions since 1973, with the collection now spanning over 4500 linear metres. We are a designated Regional Archives Centre for the State Archives and Records Authority of NSW in the abovementioned regions, collecting semi-active and inactive records created by local and regional offices of state government agencies. We are also a repository for the Page Research Centre, holding archival material created by the National Party of Australia and its precursor organisations - the Australian Country Party and the National Country Party. In addition to these, CSU Regional Archives is responsible for the corporate archives of Charles Sturt University and its precursor institutions, such as the Mitchell College of Advanced Education, the Bathurst Teachers' College, the Wagga Wagga Teachers' College, Wagga Agricultural College, Wagga Experiment Farm, Goulburn Teachers' College, Orange Agricultural College, and the Riverina College of Advanced Education. As a collecting archive, CSU Regional Archives also has a significant collection of records deposited and donated by local and regional businesses, community organisations, agricultural and pastoral bodies, religious agencies, politicians, interest groups, sporting bodies and individuals. To complement this collection, we also have an excellent collection of resources to support genealogical research pertinent to Australia, particularly New South Wales, South Australia and Victoria. 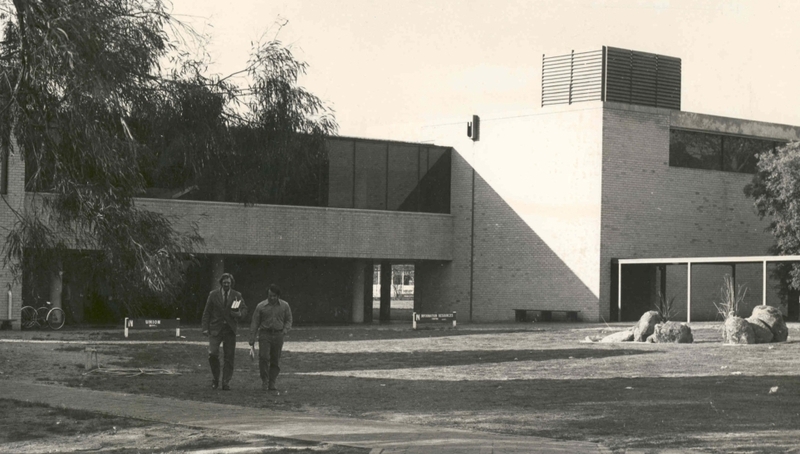 Charles Sturt University Regional Archives (formerly Riverina Archives) was established as an autonomous entity in 1978, and has developed to become the third largest university archives in Australia. The Collection was first formed in 1973, and was managed as the Riverina Special Collection in the Library of the former Riverina College of Advanced Education in Wagga Wagga. This Collection, which comprised of regional archival and non-archival material, was initiated and largely driven by local historian and academic, Dr Keith Swan, to complement regional research and teaching. In 1977, Dr Swan accepted a consultancy position with the College to oversee the formal establishment and management of the Collection. He toured throughout the US, Canada and the UK and inspected a number of archive and library sites with his wife Vera Swan, who was also a librarian for the College and equally responsible for the Collection's germination. Upon his return to Wagga Wagga in 1978, Dr Swan recommended to the College Council that the Collection be split and managed as two separate entities, with the printed material forming the basis of the Margaret Carnegie Collection of Australiana, and the archival material kept in the College's new autonomous Riverina Archives. About this time the Riverina Archives became an approved 'regional repository' for the Archives Authority of New South Wales (now State Archives NSW), and was authorised to collect semi-active and inactive records created by local and regional state government agencies within the Riverina and Murray Regions. As well as storing the University's archives, the Riverina Archives continued to aggregate private papers and non-government records from a variety of agencies around the region. In 1990, the Riverina Archives became the Charles Sturt University Archives, and by a resolution of the Board of Governors on 4th March 1992, CSU Archives operated officially as Charles Sturt University Regional Archives. Currently, the CSU Regional Archives reports to the Deputy Vice-Chancellor (Research, Development & Industry) .